Professors from Bezalel Academy held a workshop with students of the Margaret Trowell School of Industrial and Fine Art on the 7th February 2019. This workshop was part of the art academies exchange program between Makerere University Kampala & Bezalel Academy Jerusalem. The workshop was held at the Ceramics lab at MTSIFA. The exchange program is facilitated by CoCuDi Center and The African Studies Gallery. 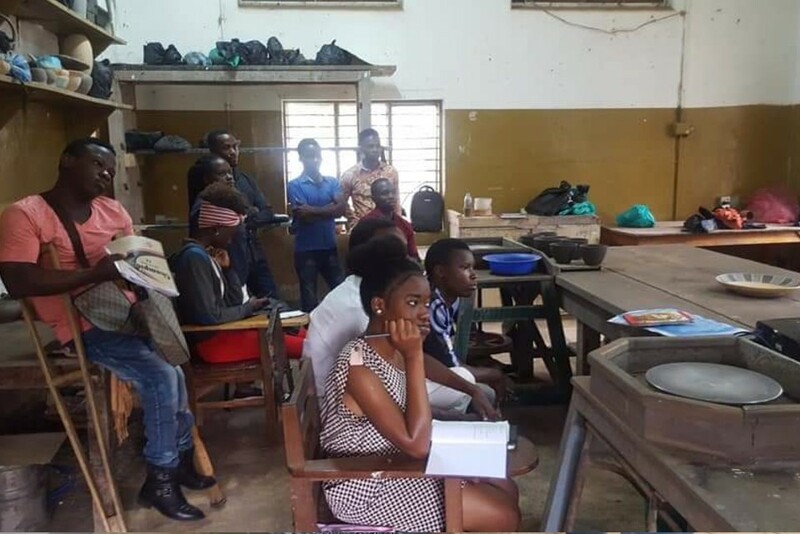 CoCuDi Center, in collaboration with the African Studies Gallery, is facilitating an exchange program between the Ceramics and Glass Department at Bezalel Academy in Jerusalem and the Margaret trowel School of Fine Art at Makerere University Kampala. The workshop was facilitated by Dr. Eran Erlich, the Head of Ceramics and Glass Department at Bezalel Academy, alongside Mr. Omri Nissim, Bezalel Academy’s ceramic workshop manager and Ms. Tamar Dekel, the founder and Co-Director of CoCuDi. The focus of the workshop was on sculptural techniques and styles. The MTSIFA students that attended had the opportunity to research and develop together with their facilitators a process, that starts from visual inspiration from their surrounding urban environment, and that is based on molds technique. The workshop which run up to the 12th February 2019, ended with a curatorial installation process. Bezalel Academy of Arts and Design is Israel’s national school of art. Established in 1906 by Jewish painter and sculptor Boris Schatz, Bezalel is Israel’s oldest institution of higher education. Bezalel has over 2000 students studying towards undergraduate degrees in the following departments: Fine Arts, Screen Based Arts, Architecture, Ceramics and Glass Design, Industrial Design, Jewelry and Fashion Design, Photography and Visual Communication.